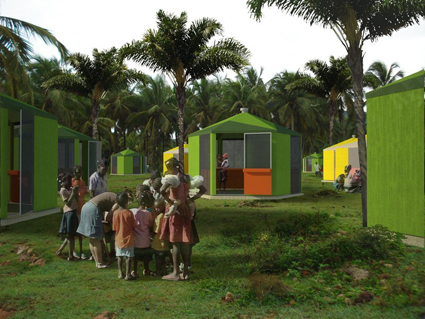 The HaitiSOFTHOUSE is a flexible and sustainable approach to emergency shelter. The SoftHouse isn’t just about keeping people warm & dry for the moment, but economically restoring communities devastated by disaster. 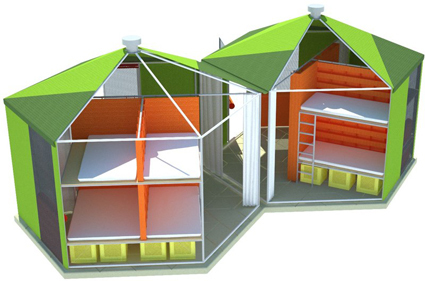 The SoftHouse allows for multiple unit combinations, addressing domestic space needs, institutional needs and community needs. 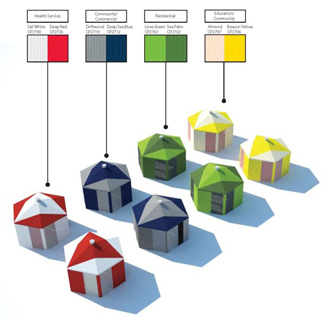 What sets this quick deployable structure apart from other solutions is the flexibility and sustainability within the design. What is so exciting for me is how something as simple as the fabric selection supports that design intent. It reminds me of a quote by Christian Dior…“get the fabrics first, then draw your collection” I’m not sure if this is how the SoftHouse design team approached this project , but material selection certainly played a critical role in the design intent. + material information on The SoftHouse click here. + information on Rebuilding Haiti click here.